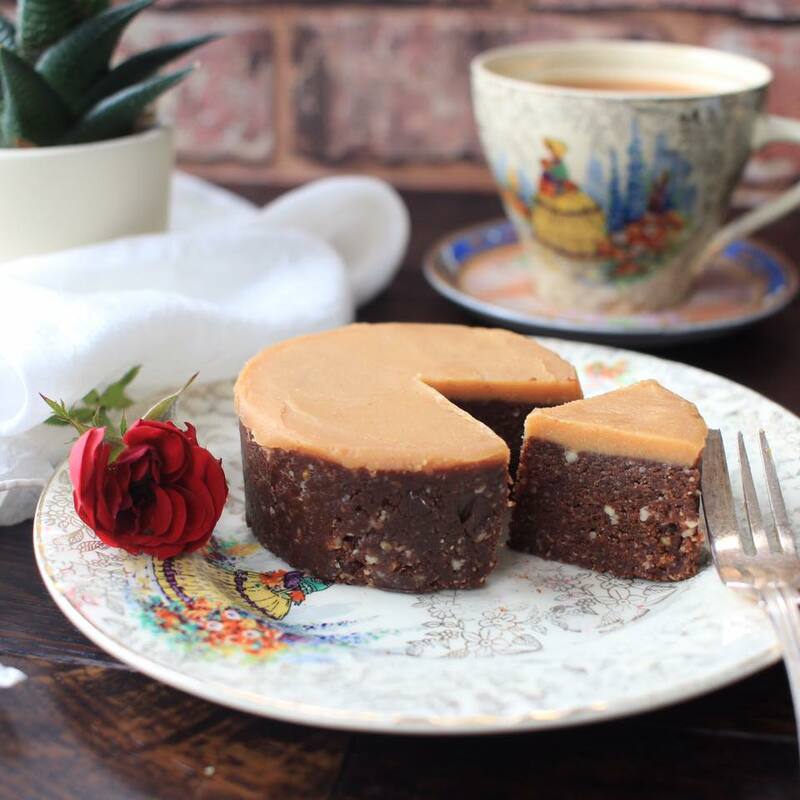 This vegan tree-nut cheese is made with activated cashews and cultured to create a delicate brie style cheese, using dairy-free and natural ingredients. 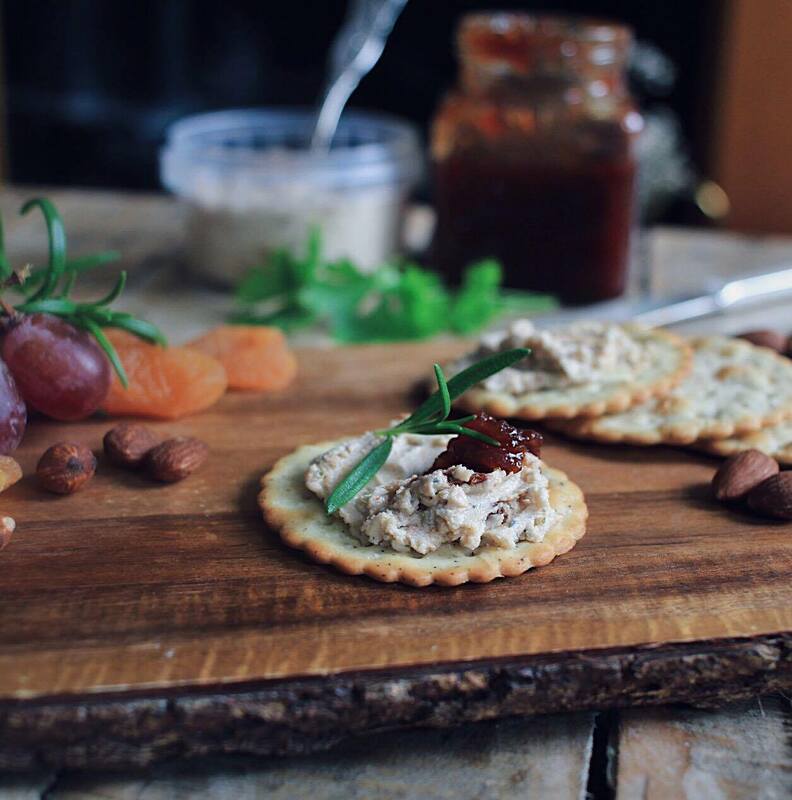 This creamy brie style cheese is infused with crushed smoked chipotle for an authentic and fiery flavour that pairs perfectly with crackers or fresh bread. Why not try stirred into warm pasta for an instant vegan cheese sauce. Ingredients- Organic cashews, filtered water, organic coconut oil, organic crushed dried chipotle chilli, pink salt, organic smoked paprika, cultures. Shelf life- 4 weeks in the refrigerator and 3 months in the freezer. Contains nuts, made in a kitchen which handles milk, egg, sesame seeds, nuts, peanuts, mustard, soya beans and celery. How do I choose between this and the Baby bleu?! With difficulty as I want to eat them all up at once! Truly delicious. Well done for creating such a lovely cheese. Incredible cheese! I bought some today at Vegfest and wish I had bought more as it’s gone already! My husband eats dairy cheese but was totally impressed with this and demolished it. I will be purchasing again, thanks for such a delicious vegan cheese! Just bought some from the vegfest in Brighton and this is the best “cheese” ever. Creamy with a nice chipotle bite – we are addicted! 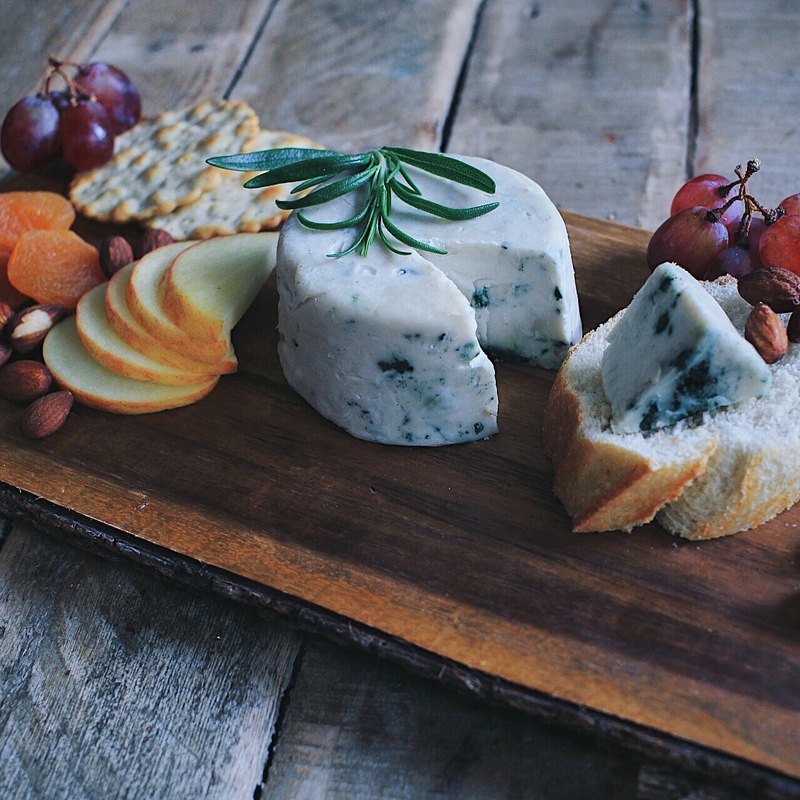 Fabulous cheese ….Definitely the best nut cheese I’ve tried! Bought this cheese today and it is lucky it has not all been eaten yet. 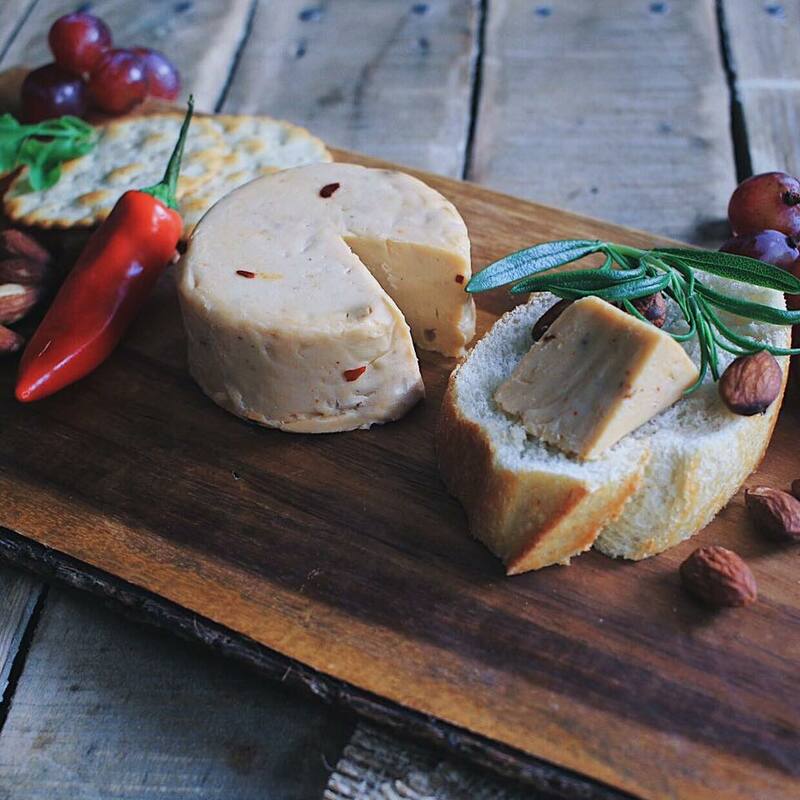 This is the best vegan cheese I have eaten, and I have tried many. This knocks the socks off the lot of them! Incredible flavour, and I will be recommending it to all my vegan friends.